Description: Studio girl cosmetics were around for a long time. 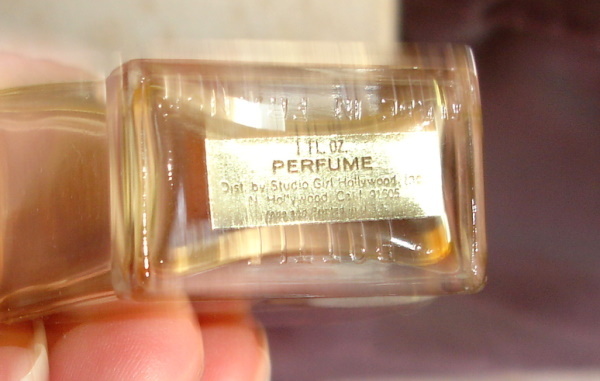 Representatives sold their cosmetics in home sales during the 1940s through the 1960s as women joined the work force and movies (later television) influenced makeup styles. Singer/actress Doris Day was a spokesperson for Studio Girl. 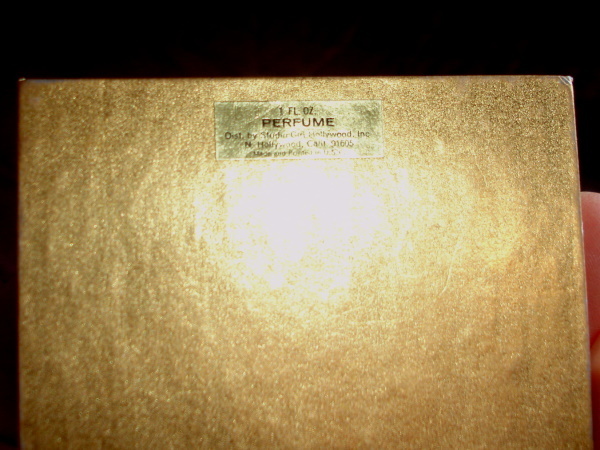 Studio Girl was acquired by Helene Curtis in 1960, which was in turn acquired by Unilever in 1996. This has a gorgeous frosted stopper. 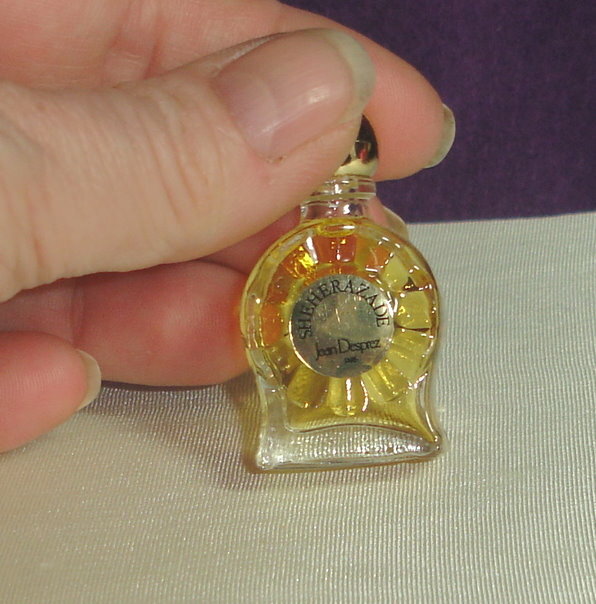 Bottle is still sealed with it's gold cord and onion skin around the neck. Labels on front and bottom of bottle are in excellent condition. 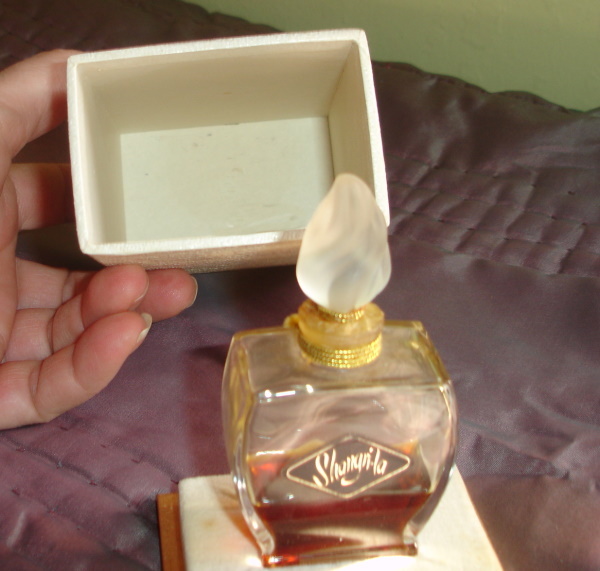 The box has some stains on the outside, and has a gold label on the bottom of the box that says the bottle is 1 oz size. Description: Sheherazade was launched in 1983. 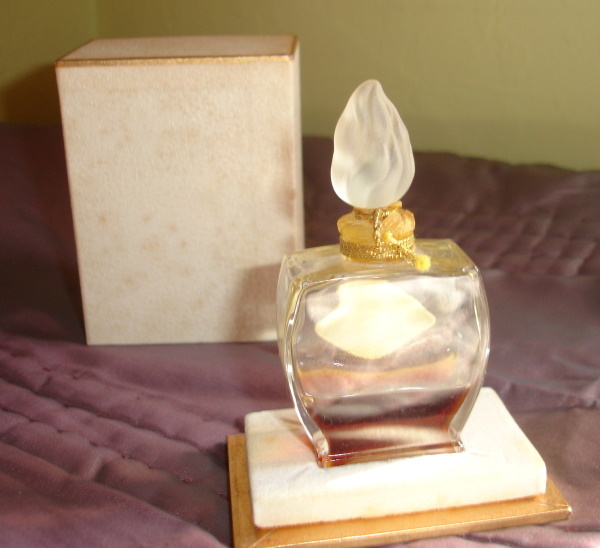 The fragrance features carnation, rose, bergamot, ylang-ylang, vanilla, benzoin, opoponax, cassia, orris root and sandalwood. 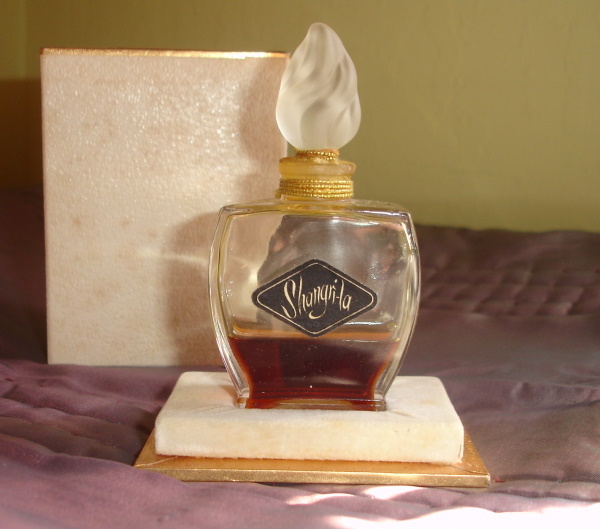 Sheherazade is a feminine floral fragrance of soft flowers. 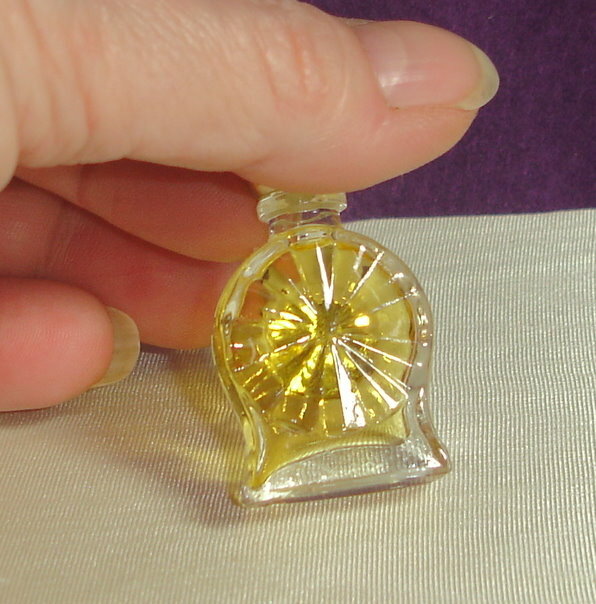 Not heavy like many 80s perfumes. It has good longevity on the skin but not over powering when first applied. 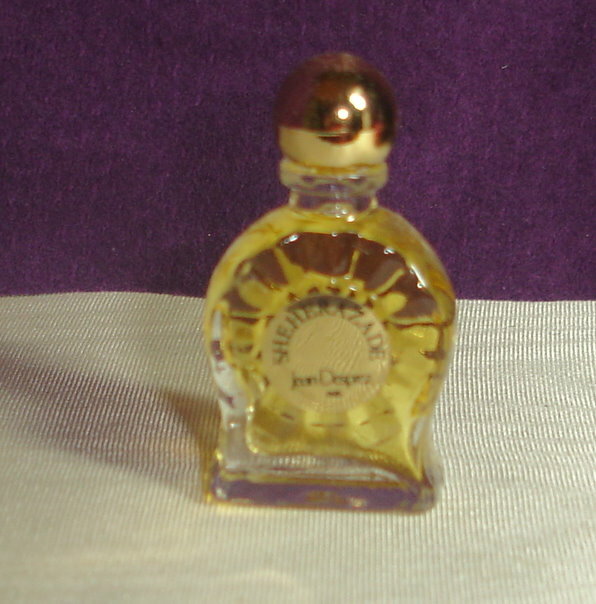 This is another great perfume from Jean Desprez.